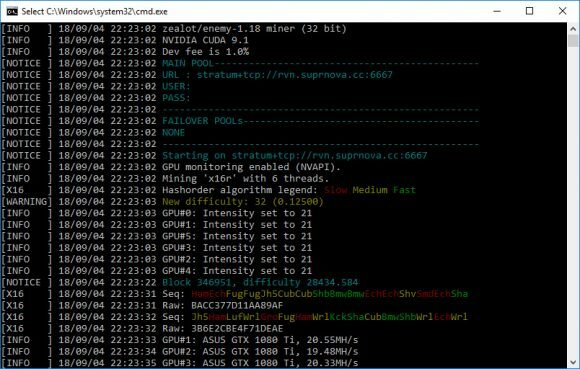 Yet another update for the zealot/enemy miner aka z-enemy 1.18 that adds major performance improvement of about 10-15% for Xevan and also fixes the reduced hashrate issue from the previous release 1.17. The new version also brings additional stability improvements for XDNA as well as some minor performance improvements for other algorithms besides Xevan where there is significant boost in performance. 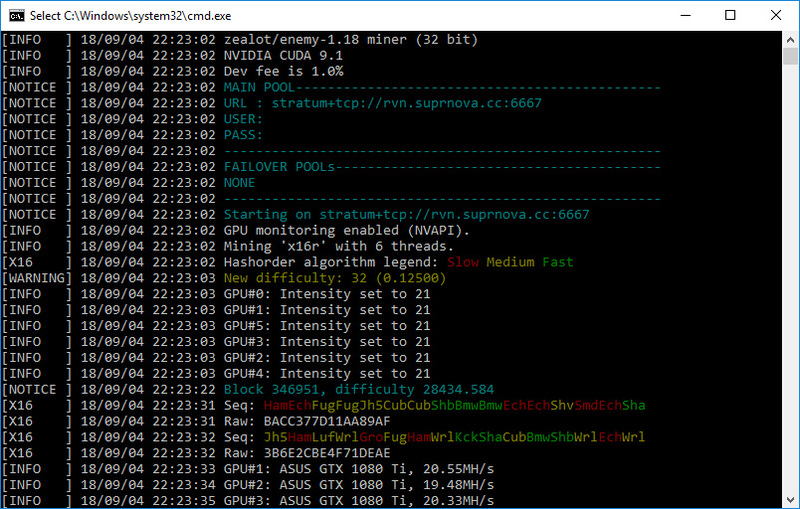 A must have update for Xevan and XDNA mining and a recommended update for all of the other supported algorithms by the miner. The latest z-enemy version 1.18 is available for CUDA 9.1 and 9.2 for both 32-bit and 64-bit Windows versions as well as CUDA 9.0, CUDA 9.1 an CUDA 9.2 binaries for Linux (HiveOS, PiMP OS, EthOS & Ubuntu). Do note that for maximum performance it is recommended to have the latest drivers installed (ver. 398+). We remind you that z-enemy is a closed source miner available only as a binary release and it contains a 1% developer fee built-in to support further software development.